Condensation – when water vapor cools and becomes a liquid – can occur inside homes and buildings, and often leads to damage and deterioration. Condensation can occur when there is high interior humidity and the temperature of interior building components is at or below the dew point temperature. Condensation that forms inside home attics and buildings can be caused by the use of washing machines, dish washers, bathtubs, showers, tumble dryers, humidifiers, hot tubs, and swimming pools unless these items are properly ventilated. In many instances the condensation is bad enough to be mistaken for a roof leak. Reducing or eliminating the source of moisture. Raise the temperature of interior surfaces above the dew point temperature (this temperature will vary, depending on the relative humidity). If you suspect you may have roofing damage due to condensation, contact Minnesota Building Contractors today. 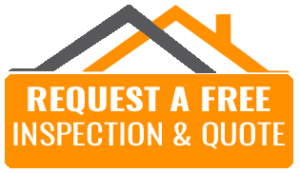 Call 507-206-9607 or submit a free roofing evaluation request.